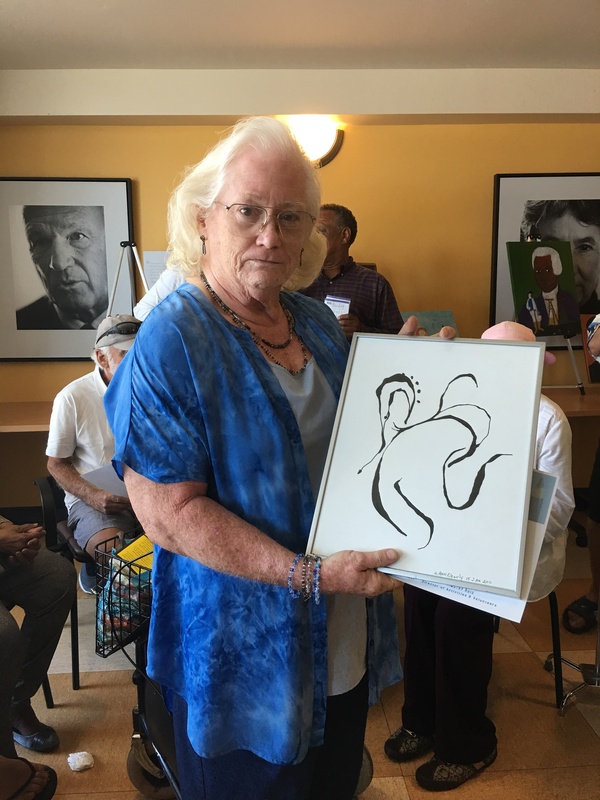 The Gary and Mary West Senior Wellness Center, one of 9 congregate locations overseen by Serving Seniors, is widely and correctly regarded as a place where seniors are served. But “serving” seniors is never viewed by the center or its parent organization as an end in itself. The goal of the services, along with the coordinated activities available at the center, is to keep seniors healthy, independent and active. Underlying this goal is the assumption that one’s senior years need not be a time of passivity, a sedentary transition from one’s active and creative years to the final end. The skills and talents one has developed and the wealth of experience one has acquired in 6+ decades can be creatively employed and displayed in ways that enrich one’s life and the lives of others. 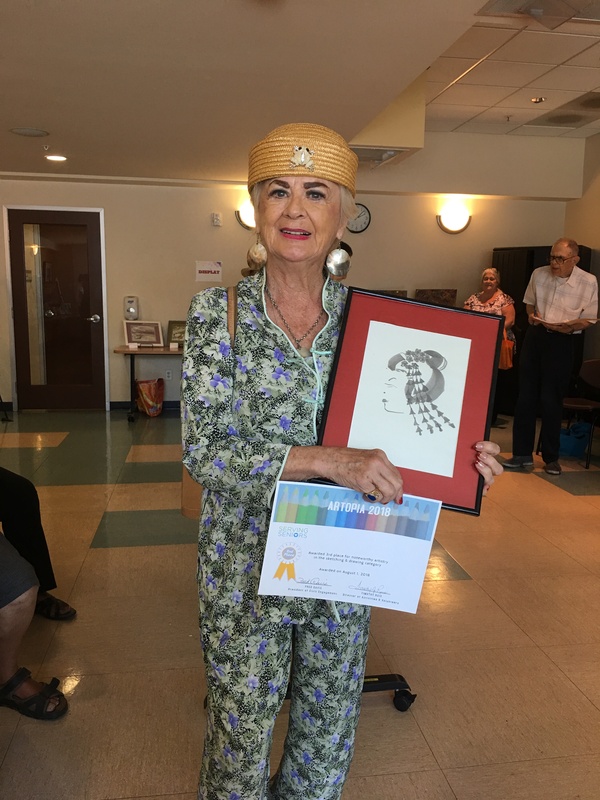 August is the month when seniors are given an opportunity to display their creative skills in two competitive talent events held annually at the Center. 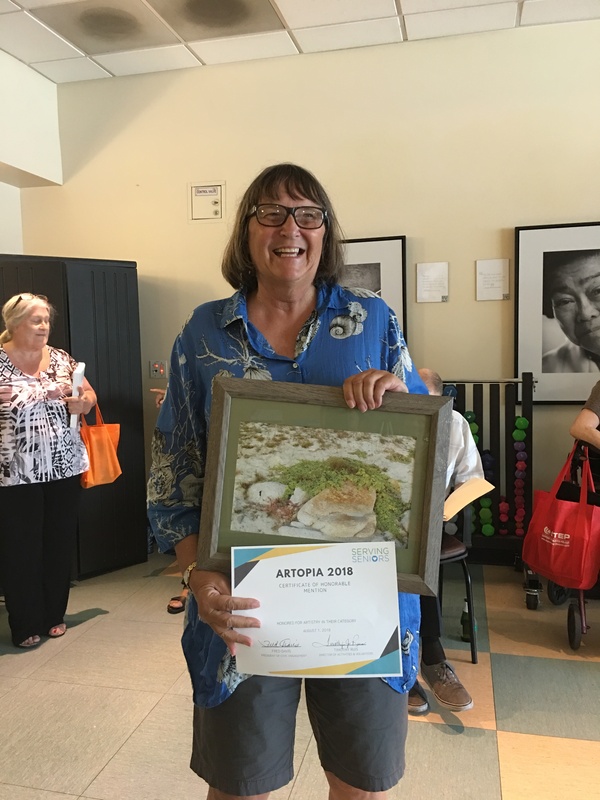 August 7, 2018 was the date of the second annual Artopia contest. Inaugurated in 2017, Artopia invites contestants to submit their personal art work for prizes in three categories: Painting, Photography and Drawing and Sketches. 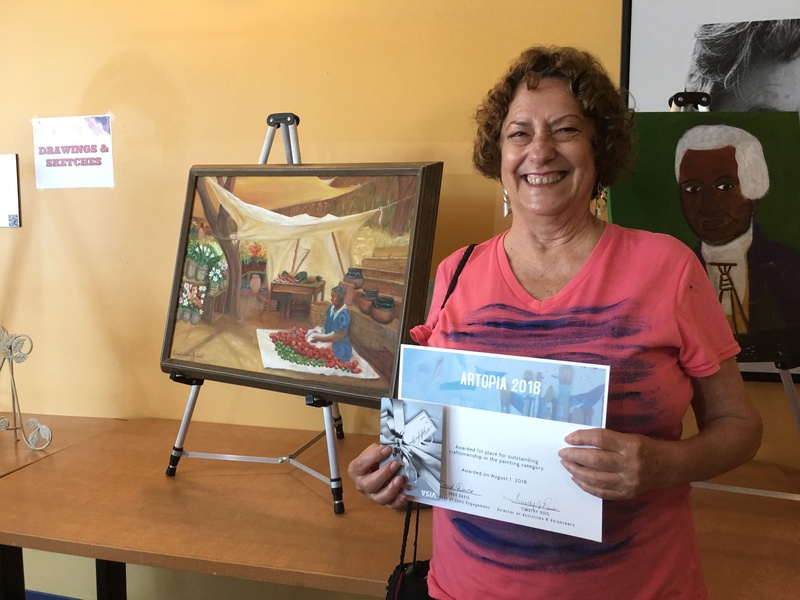 First place prizes were awarded to Angela Gomez Rubio (Painting), Dawn Wolf (Photography) and Shirley Ann Eberly (Drawing). Second place prizes were claimed by Shuren Li (Painting), Donatel (Photography), and Mark Scott (Drawing). Third place prizes went to Teresa Carol Hunt (Painting), Joseph Pieri (Photography) and Eileen Bell (Drawing). In addition to the prizes awarded in each of the three categories, certificates of “Honorable Mention” were issued for work presented by Jean Fischer and Joseph Pieri. August 24 was the date of the 7th annual Senior Idol contest. While visual representation and graphic skills are on display at Artopia, musical presentations, skits, poetry and other interpretive readings are the order of the day at Senior Idol. This year’s event saw 14 contestants compete for 4 prizes. The first, second and third place prizes were given for vocal solos with guitar accompaniment. 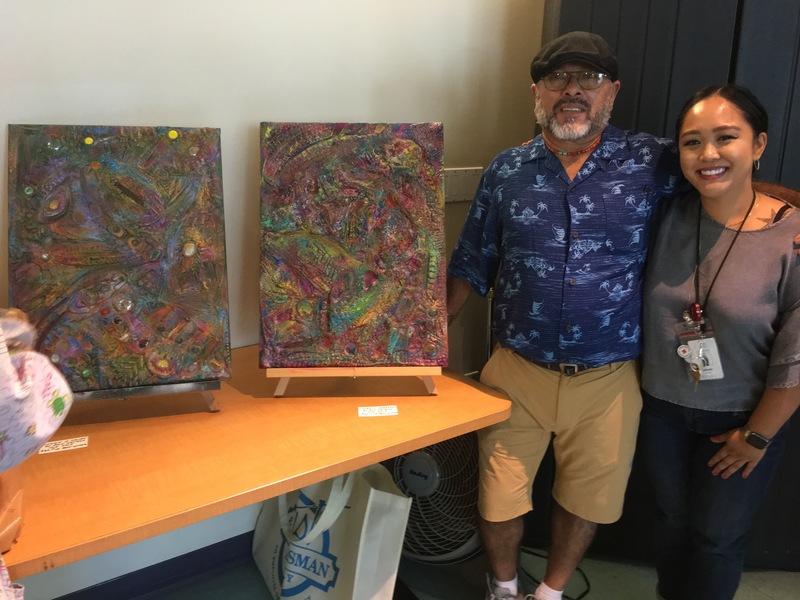 The first place prize was awarded to Ananias Leona, the second place prize to Esmeralda Sanchez and the third place prize to Carmen Burton. The fourth place prize went to Pat Andrus for a poetry reading. A rich reservoir of senior talent was on display at the Center this August. Let it be an example, an inspiration and a challenge to us all. It was another successful art exhibition by our fine art seniors. Daniel Ortega was asked to be a judge this year. Last year he won first place in the Mixed Media Category. 1st. place to Angela Gomez Rubio, 2nd place Shuren Li and 3rd place Teresee Carol Hunt. 1st. place to Dawn Wolf, 2nd place Donatel and 3rd place Joseph A. Pieri. 1st. place to Shirley Ann Eberly, 2nd place Mark Scott and 3rd place Eileen Bell.